Punjab & Haryana HC Rejects Sister’s Plea To Commute Death Sentence Of Balwant Singh Rajoana. The Punjab and Haryana High Court has rejected the plea of sister of Balwant Singh Rajoana, a death convict, seeking commutation of death sentence. 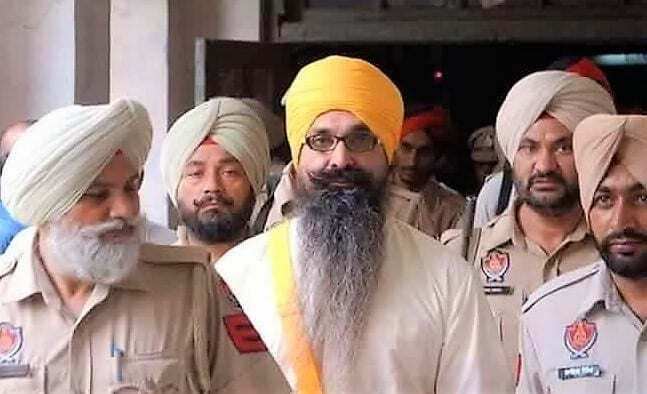 Balwant Singh Rajoana, along with co-accused Jagtar Singh Hawara, was awarded death sentence by the trial court in 2007, for assassination of former Punjab Chief Minister Beant Singh. The death sentence awarded to Jagtar Singh Hawara was commuted to life imprisonment, but the sentence awarded to Balwant Singh Rajoana was maintained. Rajoana did not seek any legal help during the trial, and did not file any appeal against his death sentence. He was ordered to be executed on March 31, 2012, but it was later stayed by the Home Ministry. Justice Rakesh Kumar Jain, during the course of hearing, asked the counsel for Kamaldeep Kaur Rajoana, Balwant Singh’s sister, to argue on the issue of maintainability of this petition at the instance of the sister of the condemned prisoner, who actually is the aggrieved person.